I usually don't make any other posts than posts about SmartFoxServer, but I just wanted to tell you all about one amazingly well programmed virtual world for kids called Webkinz. For all of those people who do not know what Webkinz is, it is a game where you buy a collectible stuffed animal in a store located all over the world and on the stuffed animal is a secret code, which allows you to virtually adopt your pet and unlock the world of Webkinz online. Once you have adopted your pet online, you are able to play multiplayer games with other online users, visit your friend's house, earn KinzCash, go gem mining, and much more. Another thing I would like to include about Webkinz is that I can tell that the creators of Webkinz planned out the game extremely well. The reasons I think Webkinz is an amazing game is really because of all the features it has and because of how well programmed the game is. Webkinz has so many different things to do, such as multiplayer games, single player games, daily activities (such as gem mining and spinning the Wheel of Wow), decorate your house, and much more. 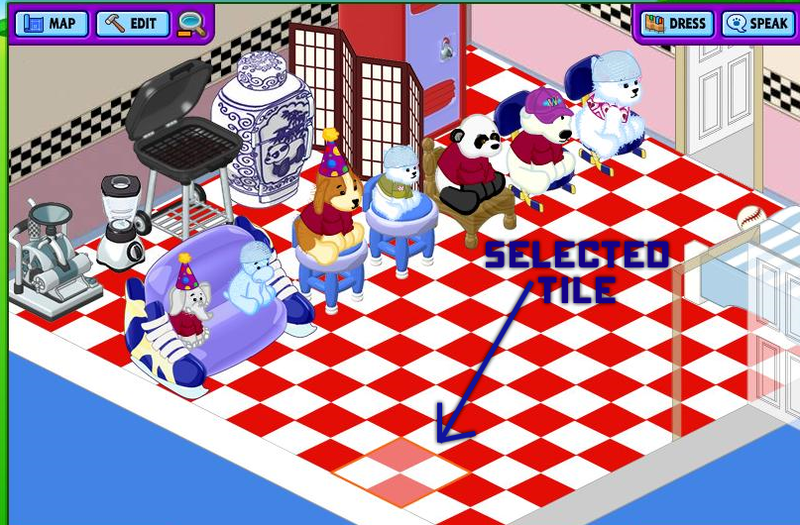 Now, one other thing I have to include about this game, is that it uses isometrics and pathfinding while inside a house in Webkinz. Isometrics is basically a 'tiled' way to design something. The best way to know when something contains isometrics is to look at the game's environment. 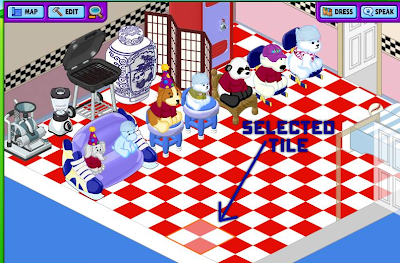 In Webkinz, when I look at the ground while inside someones house, I can tell that the ground is divided into separate tiles because when I hover my mouse over a place, the tile that is selected highlights itself, as shown in the picture I found off of Google below. Pathfinding is a way of moving an object when using an isometric environment. What pathfinding does is find a path to the specified tile which uses the least amount of tiles to get to a specific tile. An example a game with pathfinding would be Habbo Hotel. Anyway, my point is Webkinz is a well programmed game that you should check out. Also, be sure to check out the Webkinz Facebook page and 'like' it by clicking here! Thank you for writing about Webkinz!